A quicker method for baking sweet potatoes that are tender, sweet, and creamy. Serve as a simple dinner side dish or piled high with toppings for a healthy breakfast. Guess what? 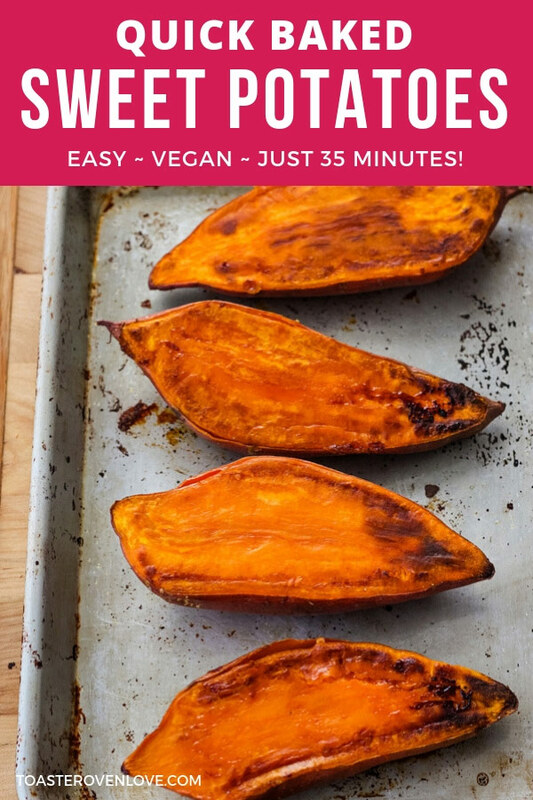 There’s a quicker way to bake sweet potatoes and it doesn’t involve the microwave! We made this life-changing discovery during our mountain cabin trip in July when I was trying to cook a big sweet potato in our little toaster oven. I sliced the sweet potato in half, popped it in the toaster oven and hoped for the best. To my surprise, the halves cooked up in half the time of whole toaster oven baked sweet potatoes and were perfectly sweet and creamy. After extensive…um…research, I’m happy to report this method will work in your big oven, toaster oven, or countertop oven. And you can use it to make quicker baked potatoes too! Also, if you’ve got the room on the pan, feel free to bake extras. The leftovers store well in the fridge and make a great fall breakfast. We topped ours with almond butter, blackberries and a sprinkle of toasted coconut – it’s basically sweet potato breakfast bliss. A quicker method for baking sweet potatoes that are tender, sweet, and creamy. 1. Adjust your toaster oven (or oven) cooking rack to the lowest position and preheat to 400°F on the “Bake” setting. 2. 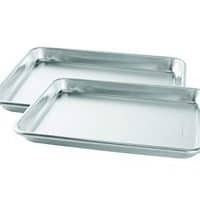 Brush a sheet pan with oil or line with a silicone baking mat. 3. Slice sweet potatoes in half lengthwise. Brush flesh with oil and season with salt. 4. Place sweet potatoes on the prepared pan with the interiors facing the pan. Brush or rub the skins lightly with oil. 5. 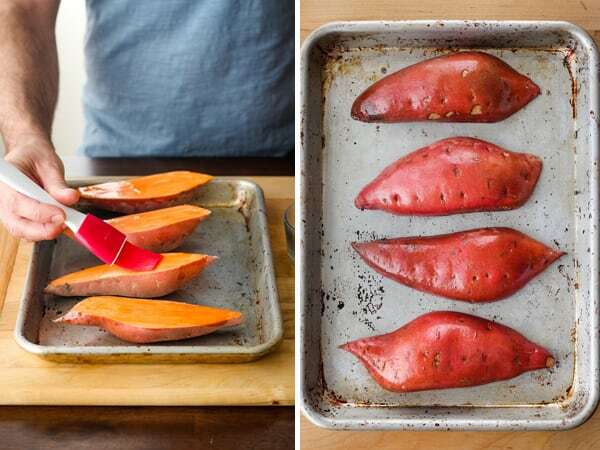 Bake sweet potatoes until they are fork tender, about 25 to 35 minutes depending on the size of your sweet potatoes. 6. Cool sweet potatoes slightly on the pan before using a spatula to loosen them if necessary. 7. Fluff the flesh with a fork and add your favorite toppings. Convection Adjustments: Keep the temperature at 400°F and begin checking for doneness after 20 minutes, adding more time as needed. The 13 oz ones we cooked with convection took almost 30 minutes. Oil-Free: Omit the oil and line your pan with a silicone baking mat. The sweet potatoes will be dry and browned on the flesh side but still tender and creamy inside. Storing Leftovers: Cooked sweet potatoes can be stored refrigerated in a covered container for 3 to 4 days. 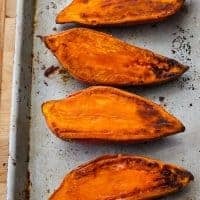 Reheating With a Toaster Oven: Place sweet potatoes on a baking sheet and reheat in a 325°F toaster oven (with the convection on if you have it) until warmed through, about 10 to 15 minutes. Reheating In A Microwave: Place sweet potatoes on a microwave safe place and heat for 1 to 3 minutes until warmed through. 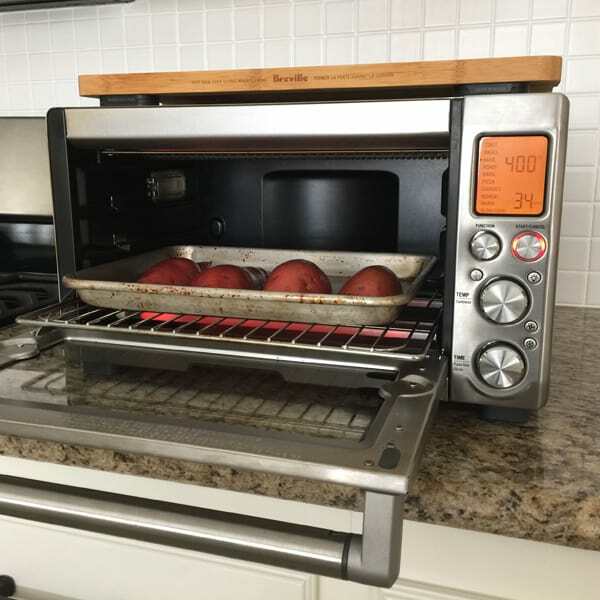 Start by adjusting the cooking rack in your toaster oven, traditional oven, or countertop oven to the lowest position and preheat to 400°F on the “Bake” setting. Next, brush a sheet pan with oil or line with a silicone baking mat. 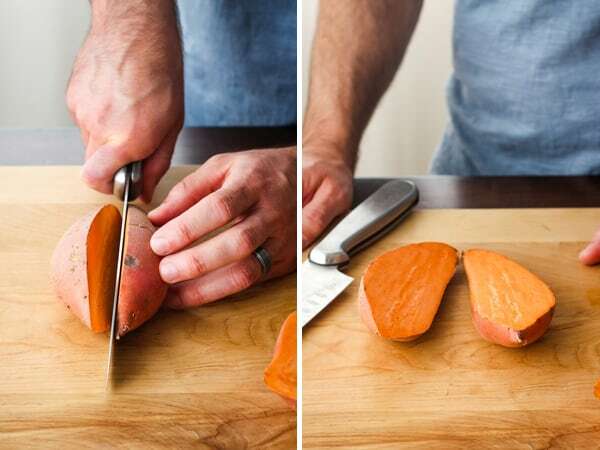 Now that you’ve got your pan set, carefully slice 2 sweet potatoes in half lengthwise. Place the sweet potato halves on your prepared pan and brush (or rub) the flesh with oil. We like to season them with salt too, but that’s up to you. Flip the sweet potatoes over so their interiors are facing the pan and brush or rub the skins lightly with oil. 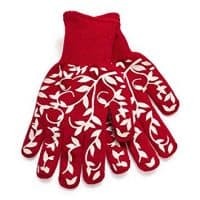 This helps the skins get crispy and taste yummy. If you’re not planning on eating the skins you can skip the oil if you want, it won’t affect how they bake. 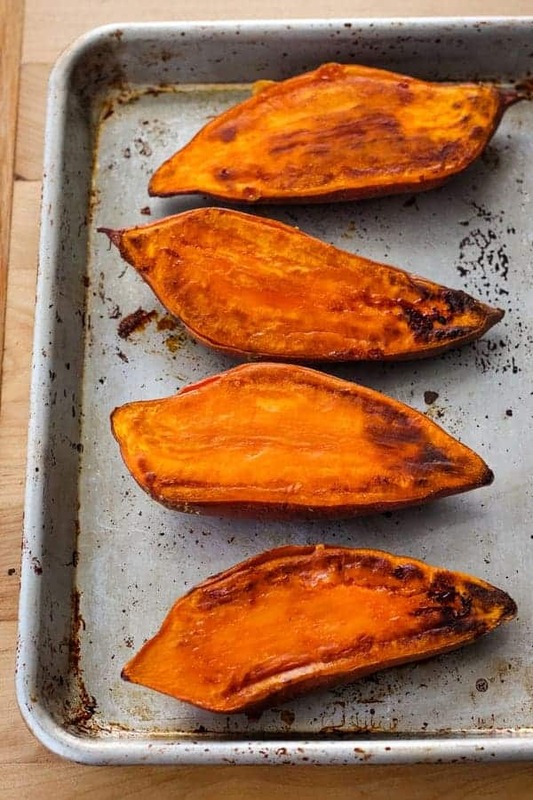 Bake your sweet potatoes until they are fork tender. About 25 to 35 minutes depending on the size of your potatoes. 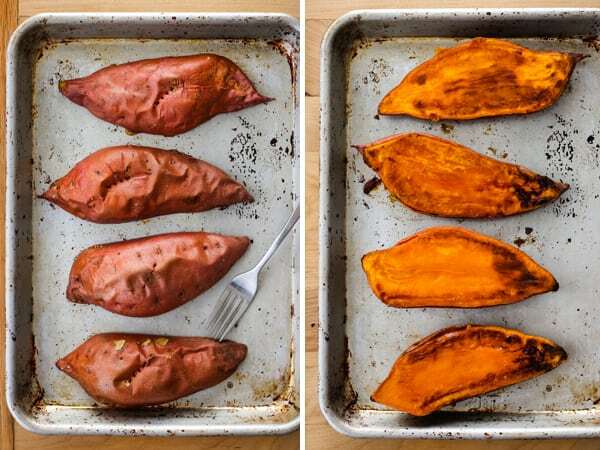 The sweet potatoes used for the pictures weighed around 13 ounces each (before slicing) and were cooked through after 30 minutes. Our Breville Smart Oven Pro shuts off when the timer ends. It’s a handy feature so long as you know EXACTLY how long your item will take to cook. When I’m making a recipe for the first time, testing recipes, or just aren’t sure how long something will take to cook I set the timer for a few minutes more than I need, that way it won’t turn off. Then I use the timer on the microwave or my phone to actually keep track of the cook time and remind me to check on the food. Let the cooked sweet potatoes cool for a few minutes. Then add your favorite toppings and dig in! Breakfast-style sweet potatoes are kind of our jam. Have you seen these vegan twice-baked ones or the blueberry ricotta topped roasted sweet potato rounds? 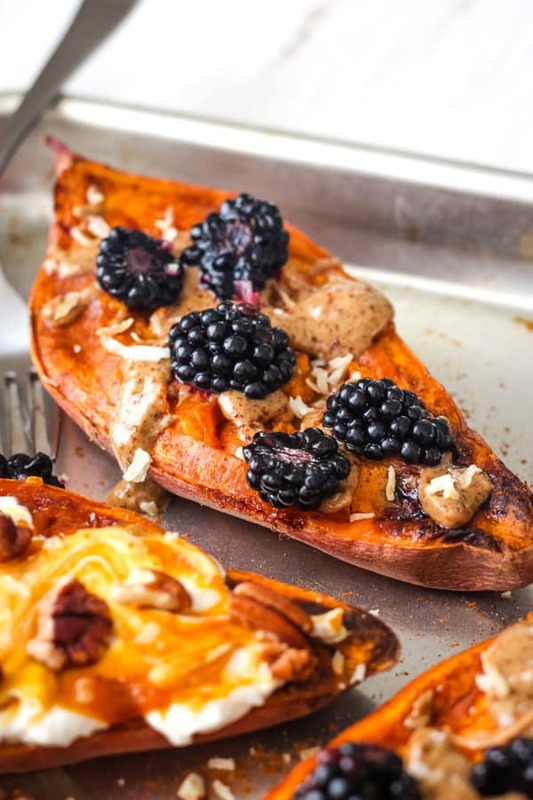 So in addition to the almond butter and berries, we also topped these quick baked sweet potatoes with Greek yogurt, a little pumpkin butter, and chopped pecans. Bring it on fall, we’re ready! 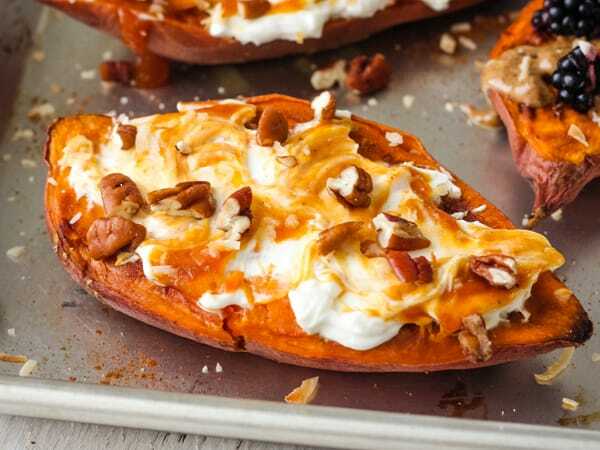 Hey, do you like your sweet potatoes extra sweet and extra creamy? A reader named Kimberly M. shared a cool tip that brings out their natural sweetness even more. She said that once your sweet potatoes are ready, turn off the toaster oven but leave the sweet potatoes inside and let them cool down. We gave it a try and it really does work. The sweet potatoes become super creamy with a more pronounced flavor. Thanks for the tip, Kimberly! i’ll take a sweet potato over a regular potato any day and any way!